It feels so wonderful to have such gorgeous weather over a weekend and it seems like the whole country is basking in the glorious sunshine. My Facebook news feed is full of happy statuses and friends posting smiley photographs. It makes me so happy. Luckily the sunshine has happened to coincide with a car hire that we've had planned for months and an extended weekend as we have Monday off work to celebrate our anniversary. We couldn't have timed this any better. I sold my car as soon as I left Norwich six years ago, it seemed a little pointless owning one in London and now that I'm living in Newcastle, in a flat that's walking distance to the Toon we made the decision to save our pennies and hold off investing in a car of our own for a little while. Having our hire car has made us realise how much we miss being completely mobile - not only have we been able to go for an adventure into the countryside we've also been giddy with the little bits of freedom that we used to take for granted. 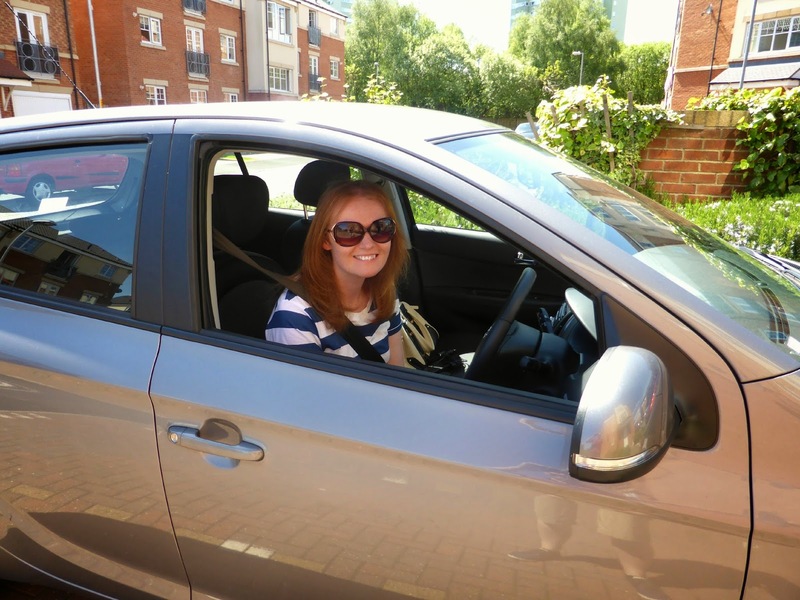 Who knew that driving a car to Tesco's and filling the boot up with groceries could be so fun? 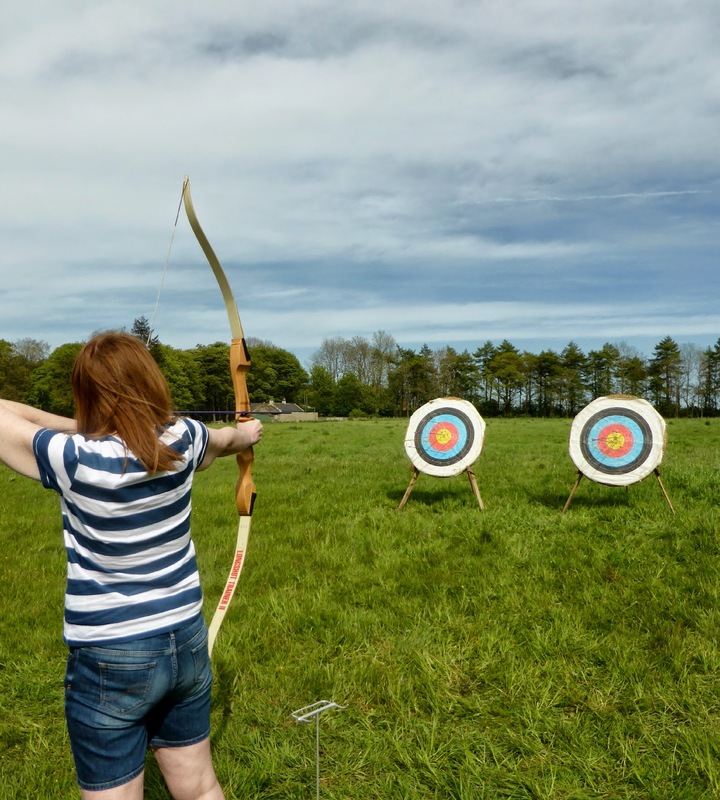 For our first adventure of the weekend we headed to the small village of Matfen in the Countryside for a little go at Archery with TurboVentures. 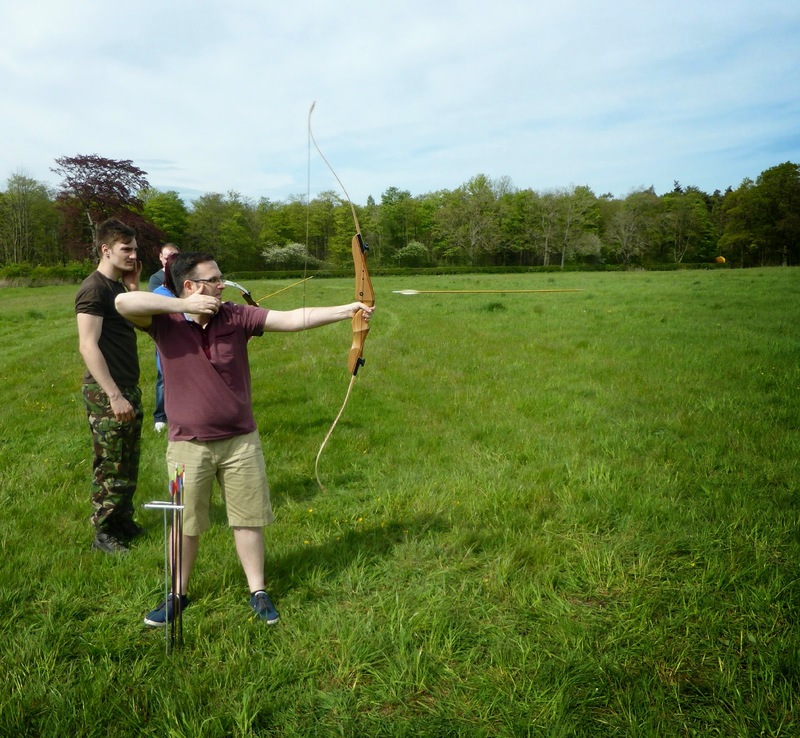 Simon has a bit of a fascination with archery and having given it a try a few years ago at Centre Parcs he's been wanting to get his hands on a bow again for ages. For the past year or so he's been satisfying his hunger for archery by watching the CW show "Arrow" which he really enjoys but seeing how much he loves the thought of being an archer I knew that for Christmas I wanted to arrange a special surprise for him. 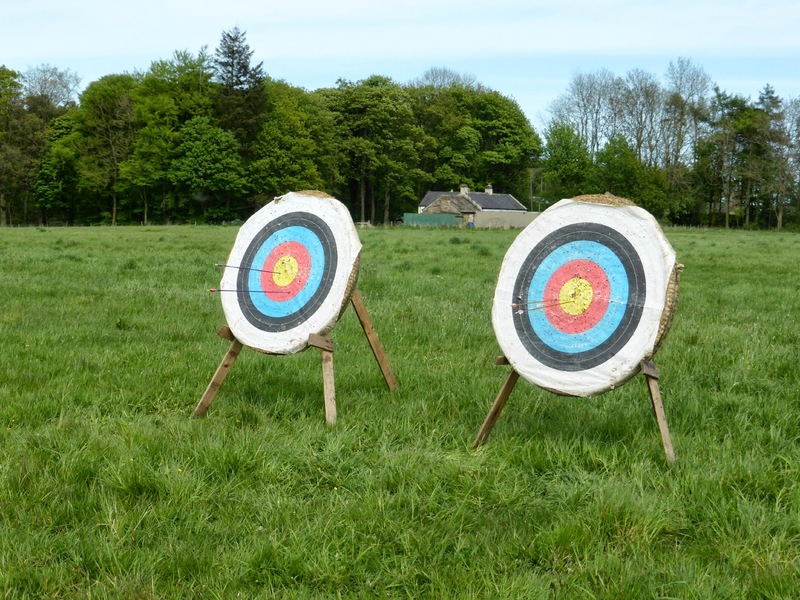 After doing a little bit of research I discovered Turbo,Ventures who offer a range of fun activities including Archery. I bought a voucher and his face lit up when I gave it to him at Christmas and we've been counting down to the Summer months to give it a go. The day started off with me behind the wheel for the first time in 3 years. Whenever we get a hire car to head home to see our families Simon always does the driving, so as the day was his little treat I wanted to give him a turn at relaxing as the passenger. I was a little nervous to start with, but soon it all came back to me and I began to enjoy myself, nothing beats driving out in the country on a sunny day. 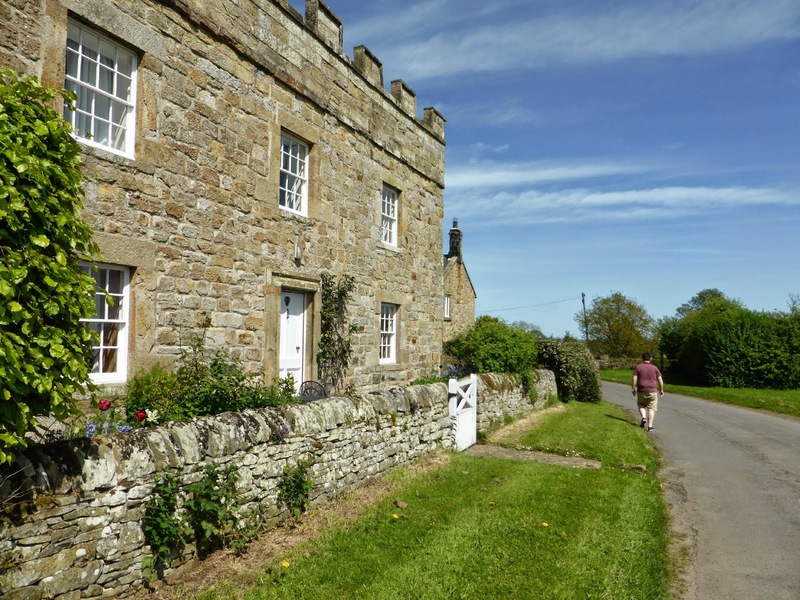 The Archery took place in a field by a gorgeous castle like Farm House in Matfen. We had a fantastic instructor who had great banter and really made the afternoon enjoyable for us. 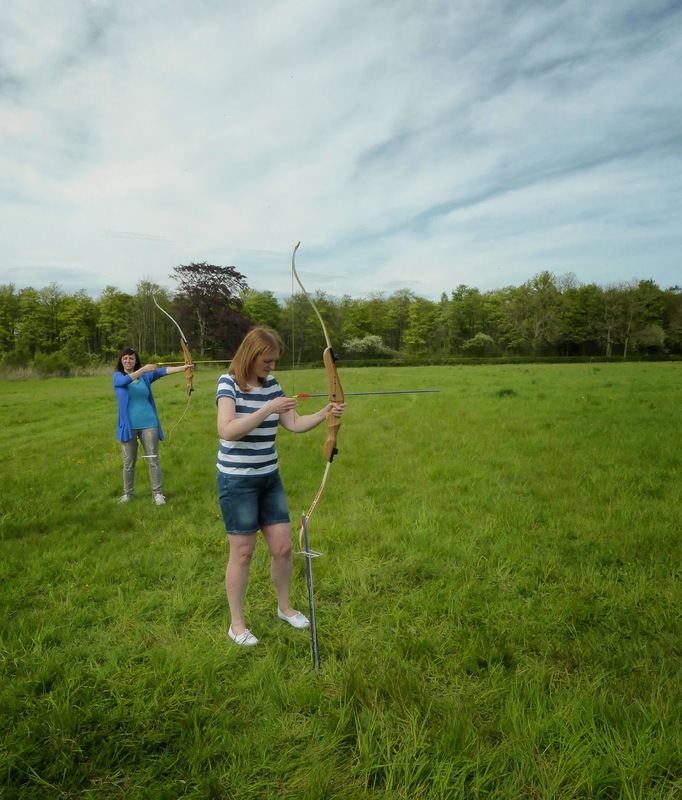 We were joined by another couple so we were a small group of 4 which made the experience fantastic value for money as we got a lot of time to shoot arrows. After running through the safety information and being taught how to use the bow we spent over an hour shooting at the target, moving slowly back as our skills improved. I have to say that Simon is an absolute natural, his first set of arrows and he hit the bulls eye twice and made it look so easy. Me on the other hand, I struggled to hold it right, had really bad technique and seemed to spend more time chatting or laughing at Simon's "angry" concentration face than trying to hit the target. Our afternoon finished with all four of us attempting to hit the target from a long distance to see who could get nearest the centre target. 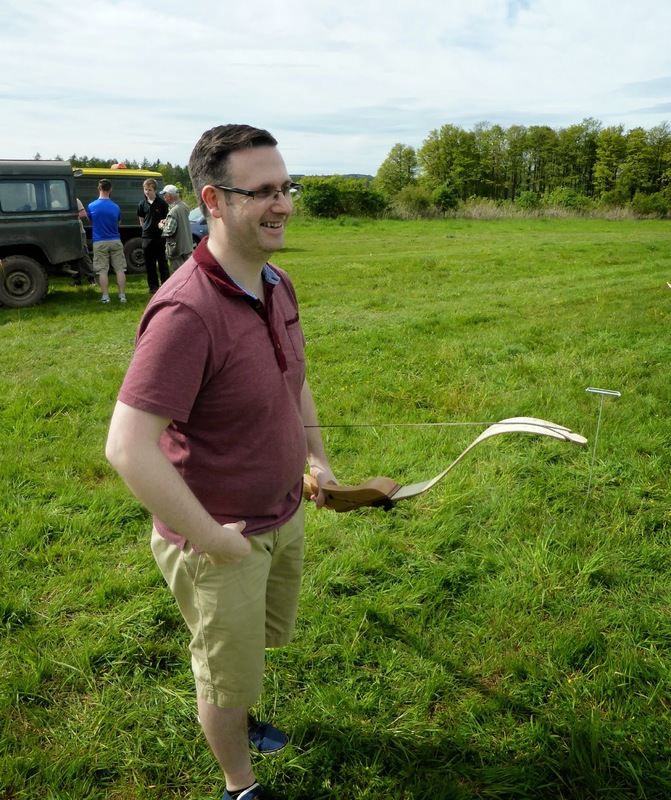 I was so proud of Simon who was the only one of us who actually managed to get his arrow into the board, the rest of us sent our arrows shooting off into the field. If you're looking for something a little different to do for a stag or hen do, team building at work or just want to treat your other half to a lovely surprise I'd recommend having a look at what activities TurboVentures offer - they don't only do archery but also tank driving, quad biking and shooting amongst other things. 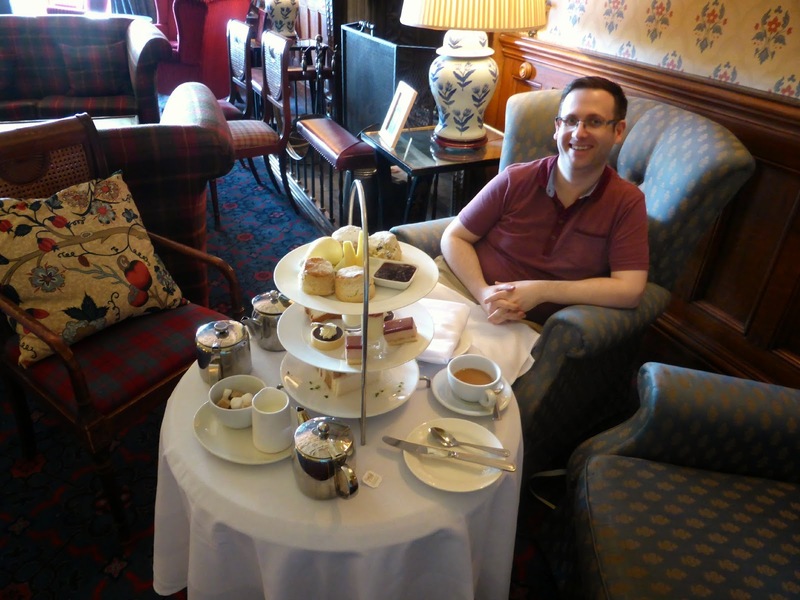 As Archery was held a stones throw away from the gorgeous stately home, Matfen Hall Hotel, Golf & Spa, it would have been daft not to book ourselves in for an afternoon tea. Having spent an hour or so kicking about in long grass wearing shorts and a Primark t-shirt I decided to take a change of clothes for the hotel, although unfortunately ended up having to get changed in a pitch black shed! 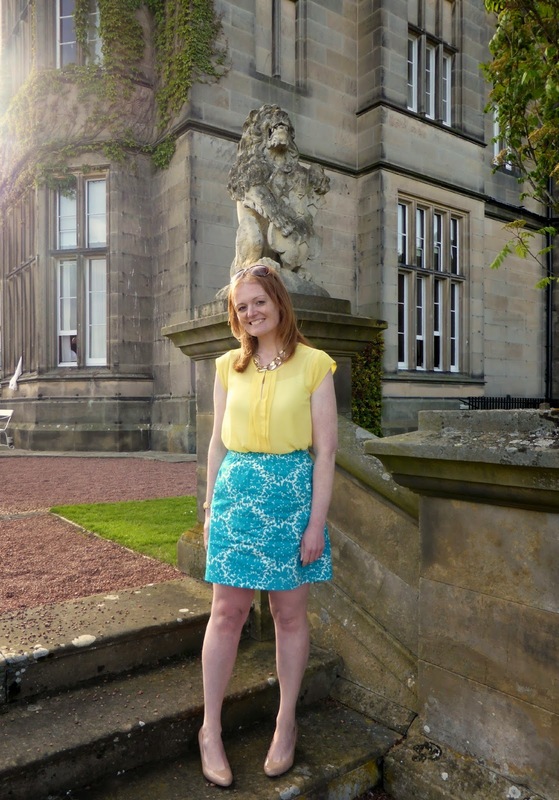 Looking as presentable as I could we rolled up to Matfen Hall a little later than planned and took our afternoon tea in the wonderfully grand Drawing Room which was full of comfy sofas, huge paintings and large windows overlooking the golf course. There was a slight mix up with our tea when it came out containing nuts despite me informing the Hotel twice in advance about my nut allergy. It can be such a pain having a nut allergy and I do prefer to let people know before turning up as it saves me feeling awkward when ordering and gives the host plenty of warning. Unfortunately this time it didn't work out that way. We had a couple of other gripes when the hostess didn't run through what cakes we had on the stand (a bit of a pet peeve of mine, I like to know what I'm getting! ), we didn't get forks for our cakes and we were given hot water to top up our teapots rather than being offered a fresh pot. These things were all a bit of a shame because the food and surroundings were lovely. The sandwiches were made on a mixture of wholemeal and white bread and had our favourite non fussy fillings and were thickly buttered which I was very happy about. A slight non elegant moment for me when I managed to drop cress into my shoe but I don't think anyone saw! 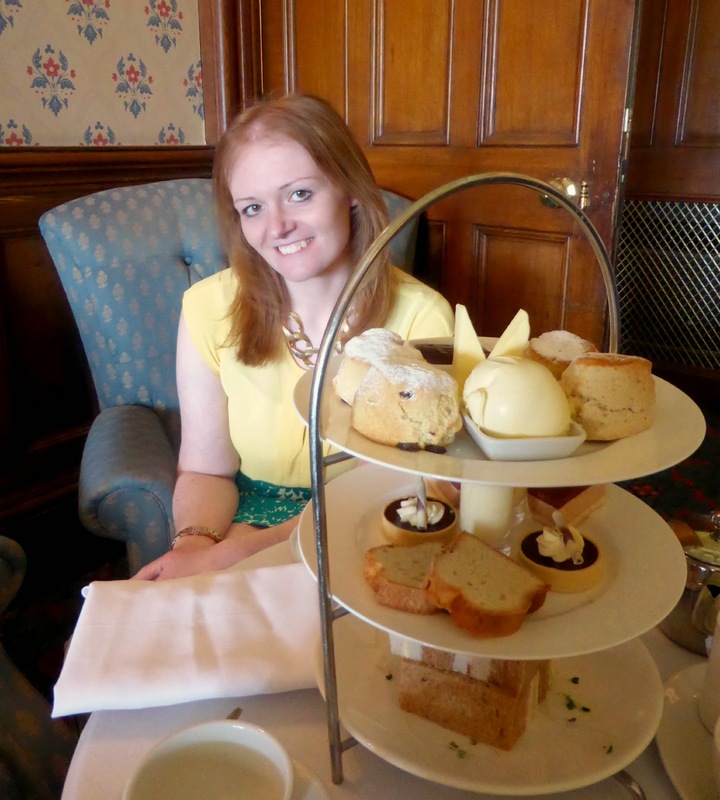 We both decided that the scones were the best we'd ever had at an afternoon tea, they were warm and came with a really beautiful fruity jam and the biggest dollop of thick cream I've ever seen. After we'd finished the scones I actually caught Simon eating a spoon full of jam and cream on its own, it was that good! The cakes on the third tier were a madeira loaf, a raspberry mousse, a shot of fruity cheesecake and a lovely rich chocolate tart. Being afternoon tea professionals we devoured the lot and then decided to have a little stroll outside on the terrace overlooking the golf course before returning to the car. It is a stunning place with really beautiful views. 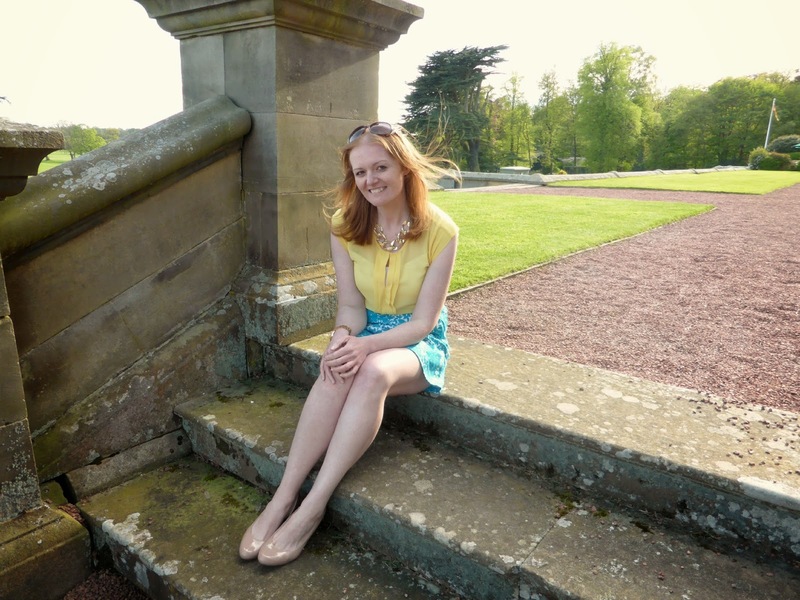 I slightly regretted not getting there early and enjoying some drinks in the sunshine before our afternoon tea. 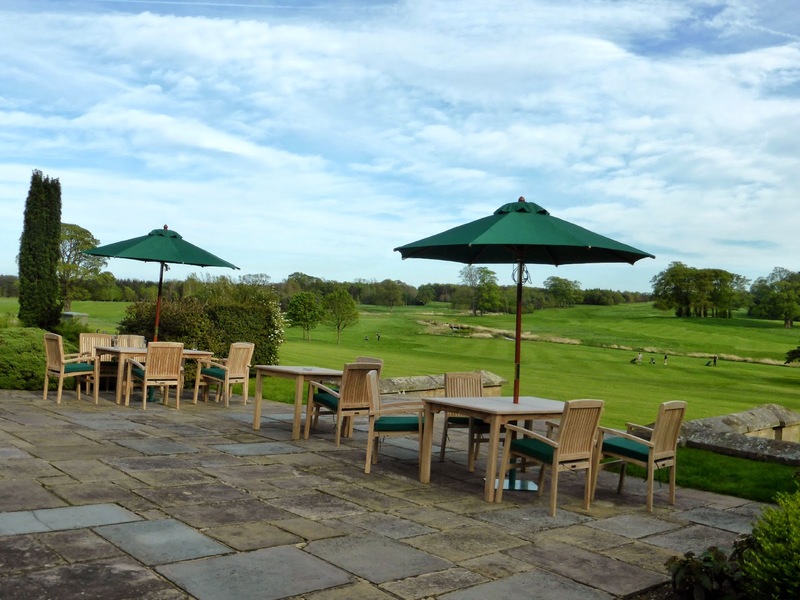 Afternoon Tea at Matfen Hall costs £15.95 per person and if you're a fan of perfect scones make sure you get yourself there for some indulgence. How exciting! I love sunny days but since I've lived here in Arizona, which is a desert, I've been wishing for rain! How ironic. But there are so much stuff that you can do when it's sunny! This is the exact reason I wish I could drive so I could go for cute days out! It looks like you had such a lovely day! we're in the same boat- we've not really needed a car in London but once we've hired one, we realise how much freedom it would allow us. 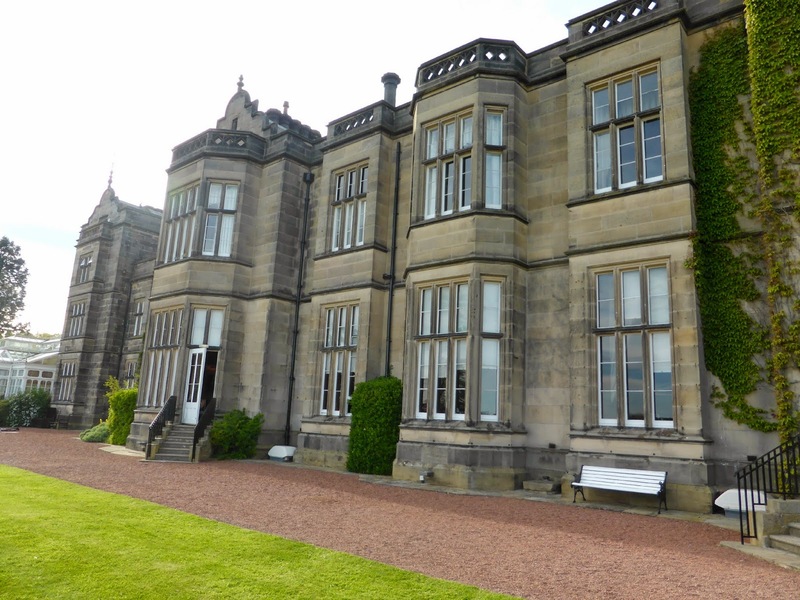 Matfen Hall is a gorgeous setting! Living in London I did the exact same thing, got rid of the car. Everything is so accessible with trains and tubes I don't need one. But I do miss it for escapes to the country. 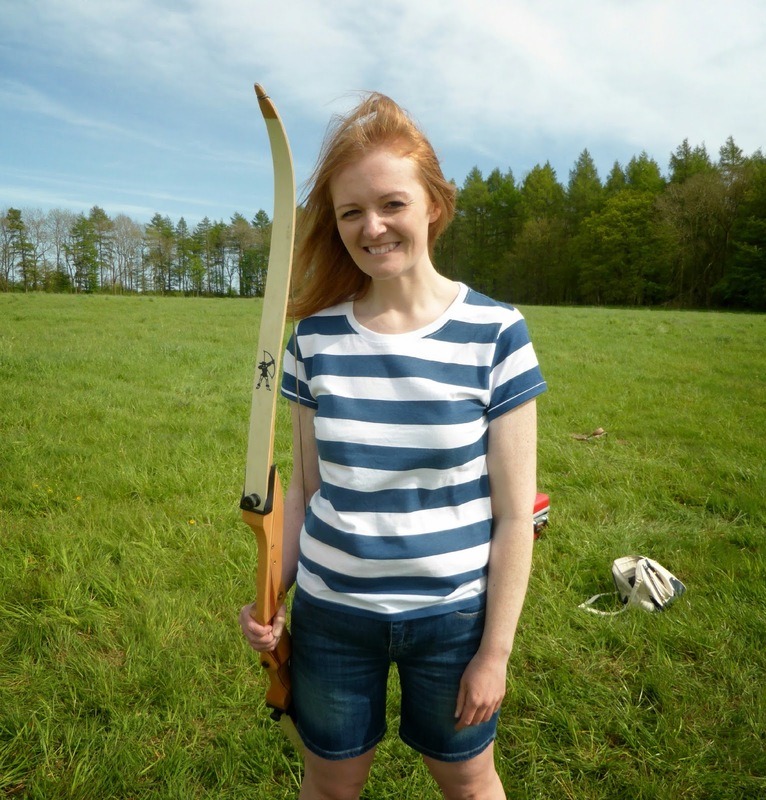 This looks like such a great day out, I love archery but not sure it loves me normally end up with pinch marks up my arm. Your rocking the Primark T-shirt with the shorts looks really lovely on. It was a good idea to give out your car. since it is very easy to reach the places through train and bus. You look good in the pink tops. Good job done by you with bow and arrow! Looks like you had a great time! 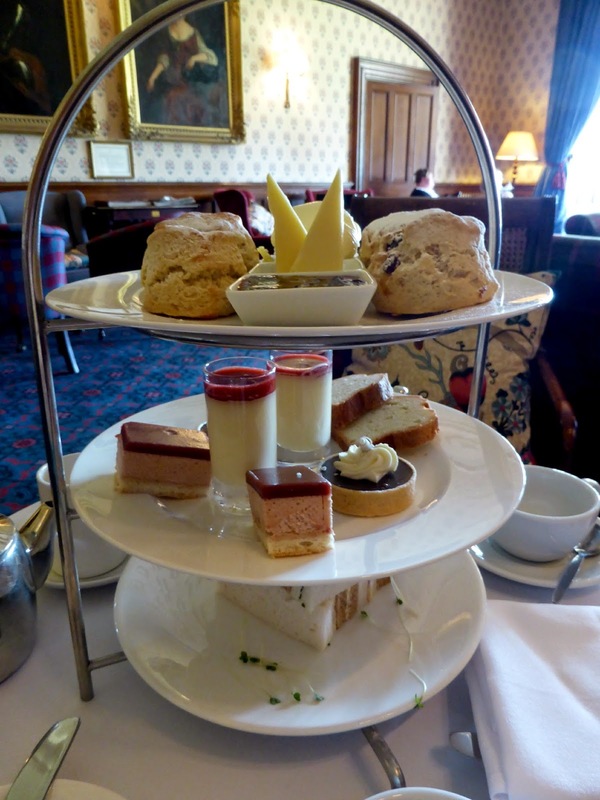 I love the look of the afternoon tea - I've only had it once before but i think it's something that I'll have to indulge in again before the summer's out. Also: your skirt is gorgeous!